Dr. Bolmgren grew up in St. Louis Park, MN. He attended Normandale Community College and the University of Minnesota for his undergraduate studies. 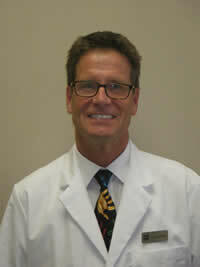 He received his DDS degree in 1981 from the University of Minnesota School of Dentistry. He received his Masters of Science in Orthodontics Degree and Orthodontic Specialty Certificate from Washington University in St. Louis, Missouri in 1983. Dr. Bolmgren was in private practice in Edina Minnesota before joining OCS in 2015. He is an active member of many dental organizations. Dr. Bolmgren is happily married to his wonderful wife Lynn, and they have two adult children. He enjoys time with his family at their cabin, being outdoors and working on projects. He volunteers with Young Life as a High School leader and loves hanging out with students.